Fig. 3. The widespread impacts of a changing climate incomes of vulnerable populations and increase the absolute number of people at risk of hunger. Freshwater has been an extremely important aspect of civilisation throughout human history. It is essential for health, food production and sanitation, as well as for industrial processes and sustenance of ecosystems. The quality of water is likely to be degraded by higher temperatures, but this may be offset in some areas by increased flows. There are several indicators of water-related stress applicable to different parts of the world. If withdrawals are greater than 20% of the total resources, these could easily be a limiting factor for development. Withdrawals of 40% or more represent high stress. Similarly, water stress could be a problem if a country or region has less than 1700 m3/year of water per capita. In 1990 approximately 33% of the people lived in countries using more than 20% of their water resources and by 2025 this fraction is likely to increase to 60%, simply due to growth in population. In addition, higher temperatures could increase such stress conditions. Thus climate change will exacerbate water shortages in many parts of the world, particularly the areas that are already water-scarce. Populations inhabiting small island states and coastal areas are at particular risk of social and economic effects from sea level rise and storm surges. Human settlements in deltas, low-lying coastal areas and small is lands will face increased risk of coastal flooding, erosion and displacement. The areas at greatest risk are South and Southeast Asia, East Africa, West Africa and the Mediterranean, from Turkey to Algeria. Significant portions of highly-populated coastal cities are vulnerable to permanent land submergence and frequent coastal flooding. Essential resources like beaches, mangroves, freshwater, fisheries, coral reefs, etc., would also be at risk. Thus it is imperative that coastal areas and small island states explore and implement suitable adaptation measures. Figure 4 connects adaptation to the average number of people flooded by coastal storm surges annually. Ecological productivity and biodiversity will be altered by climate change, with an increased risk of extinction for some vulnerable species. The increasing concentration of CO2 will initially increase productivity of some plants but climate change and disturbance regimes associated with it will eventually offset this initial increase. Some models project that the net uptake of carbon by terrestrial ecosystems will increase during the first half of the century and then level off or decline. Thus, in order to reduce the vulnerability of certain societies to climate change, it is necessary to eradicate poverty. Research on the vulnerability of different societies and the socioeconomic dimensions of climate change, therefore, becomes urgent and important. It is difficult to determine how much of the economic decline of sub-Saharan Africa can be ascribed to the impacts of climate change, but similar climate effects in other vulnerable regions have been withstood by societies with higher incomes. An important preemptive strategy against the threat of climate change is the elimination of poverty, a subject on which fresh thinking and initiatives are required, particularly in rural areas. One such approach, which holds great promise, is the INSTEP strategy, which can be implemented in poor regions of the globe with local adaptation to suit existing conditions. Box 1 shows a schematic representation of INSTEP Global, TERI's pioneering step in the direction of poverty alleviation and economic growth in the developing world. At this point it is relevant to refer to the basic concept of sustainable development. According to the Brundtland Commission report of 1989, sustainable development can be defined as "that form of development which meets the needs of the present generation without compromising the ability of future generations to meet their own needs." The concept of sustainable development can also be understood in terms of Kenneth Boulding's 'Spaceship Economy': "For the sake of pictur-esqueness, I am tempted to call the open economy the 'cowboy economy'; the cowboy being symbolic of the illimitable plains and also associated with reckless, exploitative, romantic, and violent behaviour, which is characteristic of open societies. The closed economy of the future might similarly be called the 'spaceman economy'; in which the earth has become a single spaceship, without unlimited reservoirs of anything, either for extraction or for pollution." Another important concept, which we can borrow from the physical sciences, is that of entropy. If the accumulation and increasing concentration of greenhouse gases in the earth's atmosphere are leading to human-induced climate change, and if the impacts of climate change are indeed negative for the well-being of several living systems and human activities, then climate change can be associated with increasing entropy in the eco nomic process. Nicholas Georgescu-Roegen put forward this simple but powerful argument in many of his writings, and went further in highlighting the logic of greater use of renewable resources, which would not result in increasing emissions and concentration of greenhouse gases in the earth's atmosphere. One of his statements articulated as far back as 1971 said, "Automobiles driven by batteries charged by the sun's energy are cheaper both in terms of scarce low entropy and healthy conditions — a reason why I believe they must, sooner or later, come about." In some sense this statement was prophetic, and the growing interest in renewable energy technologies bears testimony to his logic and foresight. Just as, in physics, the increase of entropy is an irreversible process, it is also possible that some of the effects of rising greenhouse gas concentrations could become irreversible if climate change is not limited in both rate and magnitude before the associated threshold levels, the "points of no return", are reached. This is particularly challenging because the positions of these threshold lines are blurred. As it is, even after the greenhouse gas concentration and global surface temperature are stabilised, the sea level will continue to rise long after emissions of greenhouse gases are reduced. 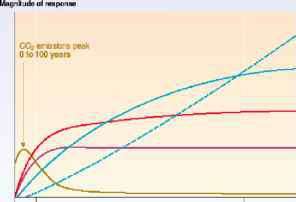 Figure 5 illustrates this inertia in the climate system. Temperature stabilization: a lew centuries derstanding of the geophysical aspects of climate change, we need to comprehend their nexus with sustainability and the equity dimensions of development. The inertia of the climate system is such that the impacts of climate change can be spread over decades and centuries if not millennia. This fact combined with the possibility of irreversibility in the interacting climate, ecological and socioeconomic systems are the main reasons why anticipatory adaptation and mitigation are beneficial. It is, of course, true that these adaptation and mitigation measures could be costly to the global economy, particularly in poor countries with low-income levels and weak infrastructure. However, the faster they are implemented and the more ambitious their magnitude, the greater will be their benefits to the environment and the higher their immediate costs. Globally, a consideration of both mitigation and adaptation measures, therefore, becomes essential. Figure 6 shows the reduction in GDP in 2050 due to mitigation activities. These do not indicate a very heavy burden in terms of relative costs. Significantly, by capturing synergies, greenhouse gas mitigation actions may yield ancillary benefits for other environmental problems. For example, the technological improvements of energy efficiency and use of renewable energy sources would be beneficial for reducing local pollution levels as well as for reducing carbon emissions. In the land-use sector, conservation of biological carbon pools not only prevents carbon from being emitted into the atmosphere, but it can also have a favourable effect soil productivity, the protection of biodiversity and the reduction of local pollution problems from biomass burning. Conversely, addressing environmental and equity problems other than climate change can also have ancillary benefits through reduction of GHG emissions. The terms (Energy/GDP) and (CO2 /Energy) are called energy intensity and carbon intensity, respectively. They are important indicators of the state of the economic system and its sustainability in the context of climate change. Figure 7 shows the acceleration of energy system change for different mitigation scenarios. 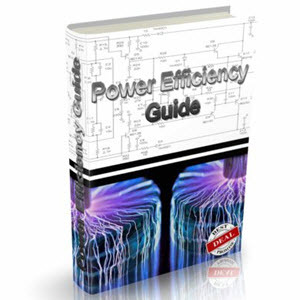 • Reducing energy consumption, by increasing the efficiency of energy conversion and/or utilisation. 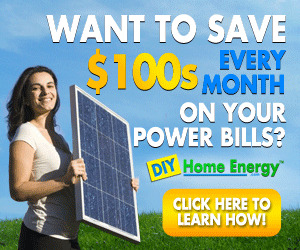 • Switching to less carbon-intensive fuels, for example natural gas instead of coal. 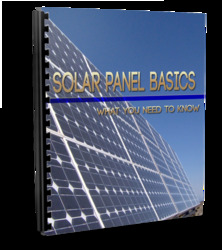 • Increasing the use of renewable energy sources or nuclear energy, each of which emits little or no net CO2. • Sequestering CO2 by enhancing biological absorption capacity in forests and soils. • Capturing and storing CO2, chemically or physically. Ironically, the impacts of climate change are most severe for those countries that have contributed the least to the causes of the problem. For example, the developing countries have low per capita energy consumption and low contribution to global emissions and pollution, but have high local pollution levels and vulnerability to climate change. In contrast, the OECD countries have the highest per capita energy consumption and the highest contribution to global pollution, but they have less local pollution. The developed countries also have greater technical and economic resources for change than the poorer economies, particularly as the latter need to focus on development. Hence there is a need for joint technology development and deployment between north and south and the development of mechanisms to facilitate this. The transfer of technology between countries would widen the choice of options for energy mixes and associated technologies, and the economies of scale and learning will lower the cost of their adoption. Specific mitigation options can be well understood in terms of the mitigation potentials/barriers as shown in Figure 8. The IPCC TAR identified five categories of increasing mitigation potentials: market, economic, socioeconomic, technological and physical. At any given time, the market potential represents the actual use of a technology or practice. Overcoming the barriers of market and institutional imperfections would help the adoption of more cost-effective mitigation options thus realising the full economic potential of a set of options. The next step is changing consumer behaviour and preferences leading to more climate-conscious and climate-responsible lifestyles. This expands the horizon to the socioeconomic potential. Technological improvement and cost reduction provide access to the technological potential; and finally, the physical potential represents the theoretical upper bound, which may become achievable through innovation. Fig. 8. Concepts of mitigation potentials. The boundaries between these potentials are not clearly defined or fixed, but are continuously varying as a consequence of changing policy, relative costs, human behaviour and technological innovation. The realisation of these potentials can only come about through effective policy-making and implementation. The economic and socioeconomic potentials inherent in a set of measures require the assistance of international cooperation initiatives like the Kyoto Protocol, mechanisms of Joint Implementation, Emissions Trading and the Clean Development Mechanism. development of renewable energy sources. This could prove to be a serious deterrent for climate mitigation efforts. The global challenge today is to utilise the mitigation potentials to their fullest, to overcome the technical, economic, political, cultural, social, behavioural and institutional barriers that prevent the successful implementation of the mitigation options. There is an unprecedented need for global vision and commitment towards adaptation and mitigation options and to address the equity implications of climate change effectively. Technology is the key, but the social and economic context is of critical relevance in bringing about change in the required direction. Scientists, technologists and economists, therefore, share a common agenda that requires a much higher level of collaborative activity in the future. While this presentation in its title aims to review the environmental and water resource impacts in the eastern Mediterranean, in the subtitle emphasis is given to the fact that regional issues are inseparably linked with the environment/climate of a greater area. E.J. Moniz (ed. ), Climate Change and Energy Pathways for the Mediterranean, 15-31. © 2008 Springer. cioeconomics, make the region prone to impacts of climate change, implying possible changes in hydrology and ecosystems. On the basis of our present understanding, it is not clear how the global climate system is projected onto the region, or how the region contributes to the global system. Unexpectedly large impacts could occur, as they have done in the past, in such a complex system, in response to global change. On the other hand the typically delayed human response to environmental emergencies can result in irreparable damage. Although the region where we live turns out to be interconnected and dependent on neighboring areas of the globe, we often focus our attention on local problems of direct consequence. While nature as a function of the sun's inclination and geography seems to favour some of us more than others on Earth, through the ages differences in our common inheritance have been tolerated by human settlement and adaptation. In the age of global change, inequalities in the distribution of resources, energy and people are extremely demanding for human adaptation, let alone their sharing. The situation implies a serious geo-potential for conflicts that in turn could result in further environmental damage. Fig. 2c. Baku-Tblisi-Ceyhan pipeline terminal in the Gulf of iskenderun part of the global pattern. Similarly, the distribution of water, food or energy, and their exploitation have regional impacts. While oil and gas pipeline transport networks (Figure 1) and shipping redistribute the hydrocarbon resources, they can give rise to environmental threats in regions remote from the source, for example in the Turkish Straits System, and the Gulf of iskenderun in the eastern Mediterranean, as shown in Figure 2. Fig. 2c. Baku-Tblisi-Ceyhan pipeline terminal in the Gulf of iskenderun route, is the Gulf of ískenderun, where the recently finished Baku-Tblisi-Ceyhan pipeline terminates (Figure 2). An important natural resource of regional significance is water. Again, the distribution is determined by geometry, but also by socioeconomics. In some cases there are fewer people where the water resources are poor (or vice versa). In general there is a north-south gradient of water availability, though the population increase is faster in the south where there is a shortage of water (Figure 3). In some other countries that appear to be rich in water, the population increase is so fast that the per capita share is comparable to water-poor countries (Figure 4). It should also be noted that the general rule of inequality also applies in the way water is consumed. Globally the production of meat in the second half of the last century increased by more than fourfold, and preferentially in the developed world. The production of meat requires 7 times more land and 10-20 times more energy and water compared to the production of grain. The side effects are disturbed marine and land ecosystems due to over-grazing, over-fishing, and the use of fertilizers and pesticides, etc. 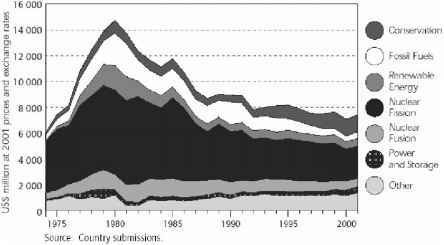 charges from major population centers and drainage seems to have more than made up for the losses, and once again have increased eutrophication in the 1990s (Nixon 2003). With the recent decline of the Nile discharge, the Turkish rivers in the north (Figure 5 a) presently constitute the only available runoff water into the entire oligotrophic eastern Mediterranean, concentrated in the relatively small area of the Cilician Basin (between Cyprus and Turkey). Because of the significant inputs of these rivers the region has all the characteristics of the ROFI (regions of freshwater influence) but in an oligotrophic deep water environment. or about half of all rivers along the Turkish Mediterranean and Aegean coasts, which is still greater than the present discharge of the Nile in the eastern Mediterranean. The Cilician Basin coastal system embodies important natural resources of strategic importance, presently experiencing rapid growth in population, industry, agriculture and tourism, resulting in significant environmental stresses. The watershed areas of rivers discharging into the Mediterranean and, Black and Caspian seas (Figures 5b, c, d) make up different ratios when compared to the target sea areas. For the Mediterranean, the rivers are spread over watersheds limited to coastal margins and plains (except for the Nile which is now dammed), while the catchments of the major rivers of the Black and Caspian seas cover much larger areas of continent compared to the destination sea. The balance between evaporation, runoff and precipitation, combined with the geometrical constraints determine the vertical structure of these seas, with the Mediterranean being a better ventilated concentration basin, and the Black Sea being a poorly ventilated and therefore an anoxic dilution basin. Interestingly, the Caspian Sea, with evaporation almost balancing the river runoff has been observed in the past apparently to switch between poorly ventilated and ventilated states depending on the relatively much larger sea-level changes on the order of several meters in the last decades, and tens of meters in the ancient past. Physical characteristics determine the state of the ecosystem in each individual basin and its various eco-zones (Figure 6). Riverine and atmospheric supply of nutrients into the sea provide the fuel with which the ecosystems run. The Caspian and Black seas and especially their shelf areas influenced by large rivers are therefore extremely productive, while the eastern Mediterranean appears as a "blue desert", apart from limited coastal stretches near river mouths. evaluate the present state of the ecosystems of individual seas. Transboundary Diagnostic Analyses have been performed for the Black Sea (Figure 7) and the Caspian Sea, but the gathering of such information appears largely incomplete for the Mediterranean Sea basins. It should also be remarked that the mean fluxes obtained by such analyses is a starting point, but largely insufficient, because of the need to better assess the seasonal, interannual and long-term changes in the sources, as a result of agricultural/industrial activity. In the case of the Black Sea, the nutrient inputs carried from continental Europe by large rivers such as the Danube multiplied by several factors, before the changes in economics of Eastern Europe in the mid-1990s put a halt to the trend, and had a positive impact. An understanding of the sinister threat of eutrophication in semi-enclosed basins and the coastal ocean is not sufficiently developed, although scientific awareness has improved over the years. 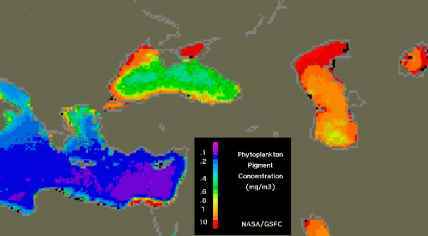 In the Mediterranean, eutrophication in coastal seas advances against an oligotrophic deep sea background. 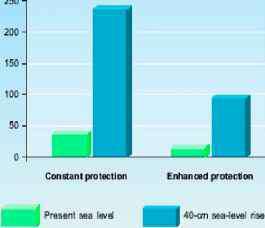 In comparison, the Black Sea and Caspian Sea are mesotrophic seas which are under greater risk of eutrophication. The environmental crisis in the Black Sea has resulted in major loss of fisheries and habitats, increased occurrence of harmful algal blooms (red tides) and altered food web and community structure. It appears that climatic oscillations, fishing pressure and eutrophication processes all had their fair shares in the resulting crisis (Oguz 2003), which appears to go through a partial recovery until the present. One of the culprits in the Black Sea ecosystem collapse was the introduction of the foreign species Mnemiopsis Leidyi brought by ships from the Atlantic. The opportunistic organism occupied a new link in the food web, competing with anchovy larvae for food, and therefore had a drastic effect. Similar changes are now being observed in the Caspian Sea, as a result of the introduction of the same organism through the Volga-Don canal connecting the two seas. The sensitivity (i.e., response to an incremental change in forcing) of an ocean basin is a function of its system characteristics and internal processes. The inability to separate natural variability of the system from man-induced changes, confounded by incomplete observations makes it difficult to understand extreme conditions that often arise unexpectedly in a system. With today's global warming expectations it is somewhat unclear if we have already started to see measurable effects in our environment. Yet, in the last few decades we have become increasingly aware of previously unobserved extreme conditions. 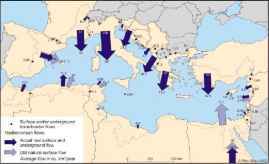 One example of such events is the "Eastern Mediterranean Transient", which has led to massive replacement of the eastern Mediterranean by a rapid series of events in the early 1990s (Roether et al. 1996). 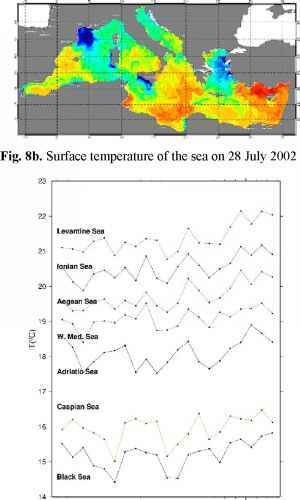 Another case is the anomalous warm summer season of 2003 which primarily affected the western Mediterranean (Beniston 2004), heating up the surface waters (Figures 8a, b, c) to rare levels in the available record. It is expected that such warm events would take place with increasing frequency and variability, as a result of global warming. Despite their isolated appearance, the internal machinery of each individual marine basin is both a significant driver and participant of regional climate. The mean residence time varies considerably from 7 years for the Marmara, to 25 years for the Caspian, 100 years for the Mediterranean, and up to about 2000 years for the deeper part of Black Sea, resulting in widely differing characteristics of these basins. Figs. 9a, b. Average salinity, potential temperature and log number of observations in the depth interval of 1000-2000m in the Cretan Sea and of 2000-4000m in the western Levantine Sea areas. The error bars denote standard deviation. The averages are obtained from individual data sets contained within the combined MODB/POEM data and grouped into 1 year intervals falling within the specified depth range (Ozsoy and Latif, 1996). The Mediterranean thermo-haline circulation (i.e., western and eastern basin cells, with a "conveyor belt" partly connected to the North Atlantic) has undergone recent abrupt changes (Figure 9), with previously unfore seen deep water renewal of the entire eastern basin from the Aegean Sea in the 1990s (Roether et al. 1996), and recurrent deep water formation at the Rhodes Gyre core observed in 1987 and 1992 (Sur et al. 1992). Shelf processes and episodic events of deep water renewal are also evidently important in the north Aegean Sea (Zervakis et al. 2000). Abrupt changes in the surface circulation and water masses have been repeatedly recognized on decadal time scales in the eastern Mediterranean (e.g., Malanotte-Rizzoli et al. 1999). In the relatively stable Holocene period there have been significant changes in climate with repeated periods of enhanced productivity associated with surface water budgets (especially in relation to dramatic changes in the Nile outflow) reflected in the hydrographic structure of the eastern Mediterranean (Schilman 2001). In comparison, the Black Sea is considerably less mixed. Wind and boundary mixing processes control the permanent pycnocline in the Black Sea (Ozsoy and Unluata 1997). Below the pycnocline, both the temperature and the salinity increase towards the bottom, their competing effects on static stability leading to double diffusive convection driven by lateral sources of Mediterranean water entering from the Bosphorus and modified along the continental shelf. The present day penetration of anomalous waters is limited to the upper 500m and does not reach the bottom of the Black Sea. Saline water intrusion from the Aegean Sea fills and ventilates the three interconnected deep basins of the Marmara Sea, which could otherwise become anoxic as there is little exchange across the sharp interface separating the main water body from the surface layer (Be§iktepe et al. 1993, 1994). The surface water injected into the northern Aegean from the Dardanelles Strait is thought to have a similar function in controlling wind-induced mixing there. 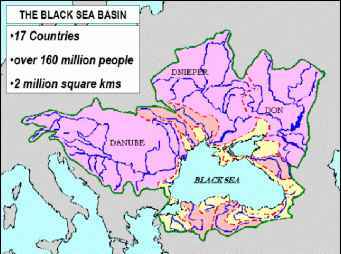 The Black Sea is the largest anoxic basin of the world, with a Holocene history of transformation from a freshwater lake to a sea with low salinity. 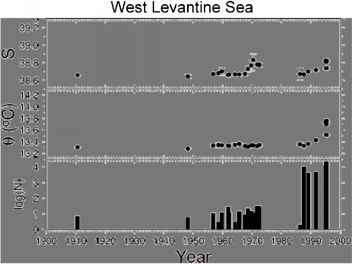 Recurrent plankton productivity events have occurred at intervals of a few hundred years within the last millennium (Figure 10), recorded in bottom sediments when the basin has evolved to sufficiently saline conditions allowing Emiliana Huxleyi blooms (Hay and Honjo 1989). A series of recent ecosystem changes has occurred as a result of the freshwater and increased nutrient supplies and poor ventilation (Ozsoy and Unluata 1997). The sea level, besides being a good indicator of climatic fluctuations, is a sensitive measure of climate in enclosed and semi-enclosed seas driven by large rivers. In the Black Sea, sea level is controlled by atmospheric pressure and the total water budget, which are both highly variable themselves (Ozsoy and Unluata 1997; Ozsoy et al. 1998). 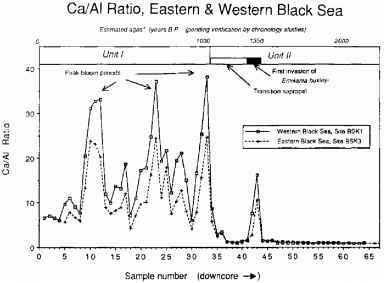 Basin hydromete-orology driving sea level appears linked to ENSO and Monsoon regimes in the Caspian Sea (Bengtsson 1998; Arpe and Roeckner 1999) and to NAO in the Black Sea (Stanev and Peneva 2002). The recent sea-level change in the neighboring Caspian Sea is demonstrative of the magnitude of problems that could occur. The abrupt sea level drop in the 1930s and rise in the 1980s, by more than 2m each time, flooding the surrounding flat lands, is perhaps an isolated decadal event within the observed past (Radionov 1994) and forecasted future changes (Arpe and Roeckner 1999) of even greater magnitude. Sea-level fluctuations have been linked with subsequent changes in ventilation and biochemical cycles alternatively leading either to anoxia or well-mixed conditions (Kosarev and Yablonskaya 1994; Dumont 1998; Kosarev and Toujilkine 2002). It is not known whether the Holocene periods of increased productivity in Figure 2 were a consequence of sea level variations, but much greater impacts on both the Aegean and the Black seas are known to have occurred in the Quaternary (Ryan et al. 1997; Aksu et al. 1999). inter-basin exchanges and land-ocean-atmosphere interactions including the effects of coastal processes. The Turkish Straits System (the Straits of Dardanelles, Bosphorus and the Sea of Marmara) is a highly stratified (fjord-like) two-layer system, acting as a buffer for waters flowing in both directions between the Black and Aegean seas. Mixing and turbulent entrainment processes in the two straits and at their junctions dominate the evolution of the salinity of waters transported away from their original reservoirs (Be§iktepe et al. 1993, 1994; Gregg and Ozsoy 1999; Gregg et al. 1999; Ozsoy et al. 2001). Straits conveying waters of foreign origin, as well as freshwater from large rivers act as buoyancy sources for the adjacent basins of the Aegean, Marmara and Black seas. The complex topography of the straits, continental shelf, slope and abyssal regions play important roles in channeling and the subsequent transformation of waters of different origin. The complexity of the marine and atmospheric climate processes, and the scarcity of some resources in the region, calls for integrated scientific investigations. Networks of observing systems, shared databases and models integrated through supporting institutions are essential for answering key questions with respect to the impact of climate change in the region, and to enable environmental prediction and management from the perspective of global change. 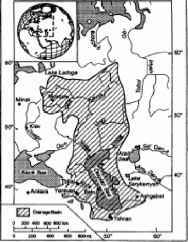 Aksu AE, Hiscott RN, Ya§ar D (1999) Oscillating Quaternary water levels of the Marmara Sea and vigorous outflow into the Aegean Sea from the Marmara Sea-Black Sea drainage corridor. Marine Geology 153: 275-302 Arpe K, Roeckner E (1999) Simulation of the hydrological cycle over Europe: Model validation and impacts of increasing greenhouse gases. Advances in Water Resources 23: 105-119 Bengtsson L (1998) Climate modeling and prediction: Achievements and challenges. WMO/IOC/ICSU Conference on the WCRP Climate Variability and Predictability Study (CLIVAR), UNESCO, Paris, 2-4 December 1998 Beniston M (2004) The 2003 heat wave in Europe: A shape of things to come? Abstract: This chapter discusses prospects for increased consumption of natural gas within the European Union (EU). Particular emphasis is on the power generation sector where the main growth in demand is expected to occur, on supply and infrastructural constraints and on the future price of natural gas. It can be concluded that EU gas-import needs will increase substantially up to 2010, driven by a combination of rapid increase in demand in southern Europe and declining production in northern Europe. As a result there will be an increased import dependency which will affect security of supply, not only in the gas sector but also in the electricity sector. However, supplies of gas are plentiful, at least in the medium term, and a number of new countries will emerge as substantial suppliers to the European gas market, increasing competition and possibly leading to a situation of oversupply between 2008 and 2012, which in turn may create a downward pressure on spot market gas prices. In addition, the US market may experience considerable oversupply between around 2008 and 2015, reducing the possibilities of conducting arbitrage between the two main markets in the Atlantic basin. On the other hand, the oil price will continue to be a major determinant of the gas price and a tight oil supply/demand balance will create an upward pressure on the gas price. Large investments will be required in order to extract and transport the gas to the markets and, in particular, it can be questioned to what extent Russia will manage to raise production capacity in the short term. Also, the producing countries are prone to invest according to national interest rather than to supply an increasing global demand. Problems related to gas production capacity together with abundant supply to the EU markets and increased competition points to Russia losing market share in the short run. In the long run, it can be expected that the EU's dependency on gas from Russia and the Middle East will increase. * This chapter was written and submitted in 2005. E.J. Moniz (ed. ), Climate Change and Energy Pathways for the Mediterranean, 33-60. © 2008 Springer. Restrictions on CO2 emissions, the nuclear phase-out announced by some member states, high emissions from coal-based generation and barriers to rapid development of renewable generation, are factors that seem to force the EU into a high dependency on natural gas. The EU is facing a growing dependency on foreign, often politically unstable "closed" regions, not only for the supply of oil but also for the supply of gas. As a consequence, the European electricity and heat supply will be increasingly dependent on the supply of gas from these regions. Various papers related to the development of natural gas market globally and within Europe are available (e.g., ECN 2003). Still, there is a lack of studies that are based on a detailed description of the current and planned natural gas infrastructure combined with an analysis of the energy system with infrastructural limitations and possibilities, such as location and age structure of the power generation plants. This chapter is part of a broader study with the aim to develop a methodology for a detailed analysis of possible development paths for the European energy system. As basis for this work, a comprehensive database of the European power generation system has been developed, including fuel infrastructure and CO2 storage options (Kjarstad and Johnsson 2004). Thus, part of the work deals with mapping the international fuel market. Of special importance is the natural gas market since, as mentioned above, a substantial growth in demand for natural gas can be foreseen over the coming decades (e.g., IEA 2004a). There are no up-to-date review papers on the European gas market, covering demand and supply as well as issues on price and financing the expansion in the natural gas infrastructure. In order to understand the prospects of increased use of natural gas in the EU and thereby to evaluate various pathways for the EU energy system, the global gas market must be understood with respect to development of the power generation sector (where the main growth is expected to occur), infrastructural constraints, financing and future price of natural gas. The aim of this chapter is to discuss these issues in the context of an expected increased use of natural gas within the EU. A detailed mapping of the current gas infrastructure forms the basis of the work. IEA (2004a) expects primary gas demand in EU-25 to increase by 1.8% on average over the period 2002 to 2030, reaching 649 Mtoe in 2030 and in creasing the share of gas in Total Primary Energy Consumption (TPEC) from 23% to nearly 32%. The report "European Energy and Transport Trends to 2030" (EC 2004) suggests an average annual growth rate within EU-25 of 1.7% over the same period, while for Europe and Central Europe Cedigaz (2002) estimates an annual growth rate of around 3% up to 2010. Similarly, ExxonMobil (2004) projects European gas demand to increase by 2.5% per annum (p.a.) between 2002 and 2020, yielding a demand of around 735 bcm in 2020. BP (2004b) projects European gas demand to increase by some 2.7% p.a. from 2003 to 20l5, yielding a demand of around 740 bcm in 2015, although it is not clear what countries ExxonMobil and BP include in "Europe." Global annual demand for natural gas increased on average by 2.2% between 1990 and 2004, reaching 2420 Mtoe in 2004, of which North America and the former Soviet Union together accounted for 51% of the total demand. The largest growth was noted in the Middle East and Asia Pacific regions where consumption on average increased by more than 6% p.a. over the period. Corresponding growth in the EU amounted to 3.5% p.a. over the period reaching 420 Mtoe in 2004. Gas consumption in the UK and Germany, which are the largest consumers in Europe, was 88 and 77 Mtoe, respectively, while Spain noted the fastest growth rate, almost 12% p.a. between 1990 and 2004 (BP 2005). The share of natural gas in global hydrocarbon production (marketed) has increased from 30% in 1980 to 39% in 2003 indicating the increased importance of gas. Globally, marketed production increased by 2.1% p.a. between 1990 and 2004, reaching 2420 Mtoe. As for demand the largest annual increase in production was noted in the Middle East, with an annual increase of 7.5% on average over the period. There was also a considerable growth in Africa and Latin America over the period (1990-2004), with annual growth rates just below 6% on average while production in North America grew more moderately, with a growth rate of 1.2% p.a. Production in the EU was 194 Mtoe in 2004, corresponding to 8% of the world total and with an average annual growth of 2.2% over the same period. Annual gas production decreased rapidly in the former Soviet Union between 1990 and 1997, from 685 to 565 Mtoe, but has since then recovered and reached 667 Mtoe in 2004 (BP 2005). The bulk of the increased demand for natural gas in the EU is expected to come from increased use of gas for power generation. IEA (2004a) projects that gas-based generation will increase by 3.7% on average per year over the period 2002 to 2030, from 521 TWh in 2002 to 1458 TWh in 2030, increasing the share of gas in power generation from 15% to 34%. The EE&TT report expects a similar growth in gas share as primary fuel for power generation (an increase from 18% in 2000 to almost 35% in 2030). The increased use of gas as a fuel in the power generation sector over the last decade can be observed from the capacity of existing and planned thermal power plants distributed by fuel and age as shown in Figure 1 (thermal plants fuelled by biomass/waste are not included). The data in Figure 1 has been taken from the Chalmers Power Plant database (Kjärstad and Johnsson 2004), which contains all existing and planned power plants within EU-25 with a capacity of at least 100 MW. The database lists all power plants down to block level with respect to fuel, age, capacity, technology and current status (e.g., in operation versus in reserve).